Weddings at The Purple Orchid Wine Country Resort & Spa from TinCan on Vimeo. Northern California’s wine country has long been a popular wedding location thanks to the misty mornings, rolling green hills, and mild weather. One of the best cities in this wine country area is the ever-beautiful Livermore, home to a number of whimsical places to get married. 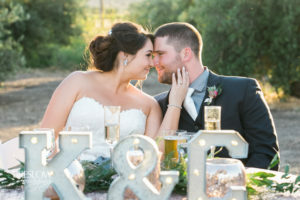 Wedding venues in Livermore offer the kind of setting that has brides-to-be swooning with romantic nostalgia and lush dreams for their own weddings. Stage the wedding you’ve always been dreaming of in the rolling countryside and bring a sense of true romance and classic elegance to your big day. What sets Livermore wedding venues, specifically The Purple Orchid Wine Country Resort & Spa, apart from the rest of California’s wine country wedding venues is the convenient location. The elegant and quaint city of Livermore is located just an hour east of San Francisco and thirty minutes from Castro Valley and Pleasanton. Livermore, with its fifty wineries and numerous hiking trails, will give your wedding a country feel with the ease of an urban location that is just a stone’s throw away. 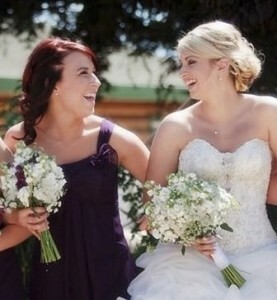 The Purple Orchid is known as the best of the Livermore wedding venues for a number of reasons. We offer the opportunity to have the outdoor wedding you have been dreaming of. Exchange vows in front of our gorgeously lush rose garden, pose for photos next to our breathtaking fountains and enjoy a wine country-inspired cocktail hour next to our rock waterfall. Or celebrate your nuptials against the elegant backdrop of the olive orchard and the Northern California sunset. To truly round out your wedding experience, we offer our wedding guests a state of the art banquet hall where you and your guests can dine and dance the evening way. Turn your wedding into a true weekend event and take advantage of the luxurious lodgings at our Bay Area resort. The Purple Orchid offers the happy couple and their wedding party the option of continuing the festivities with a weekend stay in one of our ten rooms, some which include soaking tubs and fireplaces. Our wine country wedding venue is located just ten minutes from beautiful downtown Livermore which has weekly farmer markets, tree-lined shopping streets, live theater, and wineries to explore on your honeymoon. Let us Make your Wedding Extra Special! Please call or email us to make a reservation or discuss the details of your big day! You can reach us directly at 925-606-8855 or via email at events@purpleorchid.com. You can also contact us using the form below. We look forward to helping make your special day a truly beautiful and magical experience!